Ping Lim is a rosarian for the twenty-first century, with a background that spans continents and horticultural traditions. Raised in Laos and educated in Taiwan, Ping got his first American job in San Francisco. After years of study and training in every aspect of rose breeding, marketing and production, he became the Rose Research Director for Bailey Nurseries, leading an award winning Oregon-based rose breeding program. In 2002 Bailey Nurseries introduced ‘Love and Peace’™, the result of work by Ping and his mentor, Jerry Twomey. The rose was a success, winning the prestigious All America Rose Selections award. In 2005, Ping Lim won the same award for ‘DayDream’™ and for ‘Rainbow Sorbet’ in 2006, in additional to the award of Northern Ireland, Japan and Belfast Rose competition and entitled 11 Portland Best Roses Awards since 2004. He has also produced Easy Elegance®, a line of twenty-five new, own root roses and 4 of 911 Roses, designed for modern gardens and gardeners. The hardy, floriferous shrubs combine vigor, disease resistance and hardiness with traditional rose virtues including beauty and fragrance. One of the Easy Elegance® roses, Macy’s Pride™, so impressed officials of the celebrated department store that they selected it to symbolize Macy’s centennial anniversary. 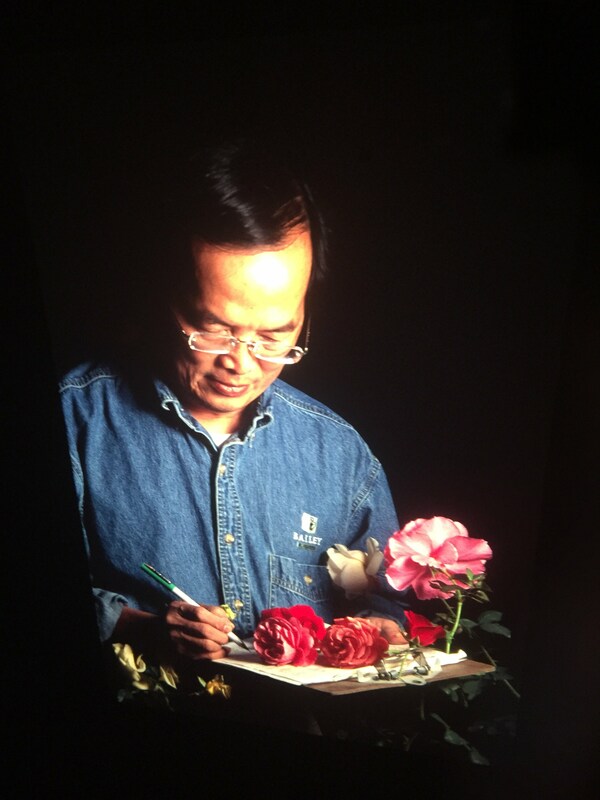 If that isn’t enough, he also has written Rose Village in China – TFM Taiwan, A Life with Roses – ARBA annual UK, and Selecting a Rose’s Parents for the Rose Hybridizers Association handbook here in the US.